“The Alexander Romance is an open textual tradition comprised of numerous sources about the myths and exploits of Alexander the Great. The letter to Olympias is a special source in book 2 of the AR, appended to the text of recension β, but missing from recension α. The letter consists of a first person celestial travel narrative, in which Alexander journeys to the ends of the earth, descends into the sea, and flies into the air. During his journey, Alexander describes seeing giant creatures with forearms and hands like saws, birds with human faces, and many other marvels. Although the preceding narrative in the AR is already quite legendary, the letter to Olympias stands out for its heightened fantastic elements, and it is written according to different generic conventions than the rest of the text. Behind the baroque imagery in the letter is an eschatological undercurrent, in which Alexander pushes the world to its very limits. Similar themes of eschatology can also be found in other ancient accounts of celestial visions, such as the Book of Revelation. In the vision of John of Patmos he sees winged creatures covered in eyeballs, angelic beings, and the end of days. Unlike Alexander, who had merely traveled to the end of this world, John sees the world to come. You can also read this earlier blog post that I wrote on the same topic, in which I flesh out some more of my arguments and analysis. I look forward to presenting at the regional SBL meeting again. I last presented in 2016, and would have done so in 2017 (on the same paper as this year), but had to cancel due to a family related issue. I’m glad that I get a second chance to present the paper again this year, since I think that it is one of the most interesting research topics in my studies yet! More good news for the site! As always, consider supporting the blog on Patreon if you support the work here. Onward and upward! 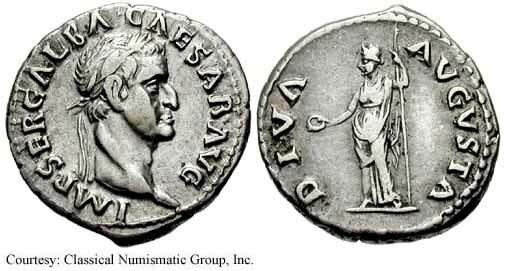 Numismatics is the study of ancient currency, and is particularly relevant to the study of Roman emperors, since the rulers of the Roman Empire would stamp their faces on the currency in circulation throughout the Mediterranean. A number of years ago I took a seminar on Roman numismatics with professor Edward Watts at UC San Diego, in which I did a research project on the emperor Otho and the currency he circulated with his image during his short reign. It is also relevant to another seminar that I took with professor Michele Salzman at UC Riverside in which I did a research project related to the depiction of Roman taxation in the Gospel of Matthew. My research in both seminars is relevant to evaluating Keener’s argument that Suetonius’ historical reliability can be compared to that of the NT Gospels. 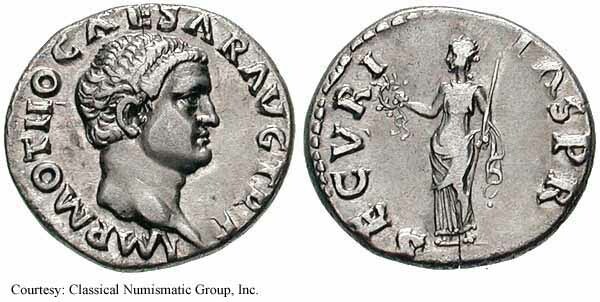 The connection that Galba drew with the house of Augustus and the empress Livia was a special part of his propaganda when he first became emperor, which is discussed by scholar Colin Kraay in The Coinage of Vindex and Gaiba A.D. 68, and the Continuity of the Augustan Principate. And so, when it comes to his anecdotes about these Roman emperors, what the evidence of ancient currency bears out is that Suetonius tends to know what he is talking about. Can such numismatic evidence be used to evaluate the depiction of events found in the NT Gospels? Well, it turns out that it can. 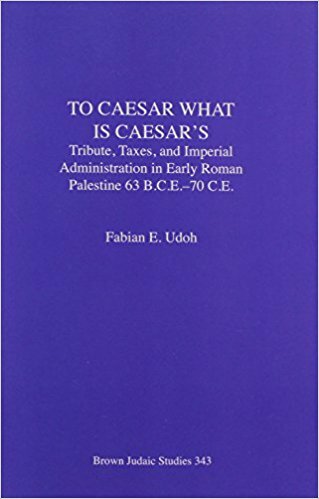 But rather than corroborating the Gospels, what scholar Fabian Udoh finds in To Caesar What Is Caesar’s–a scholarly monograph on tax administration in Roman Palestine from 63 BCE to 70 CE–is that the archaeological record actually contradicts the Gospel narratives. While an excellent moment for displaying Jesus’ rhetorical wit, however, the scene does pose a historical-critical question: did the Judeans of this period actually pay Roman taxes using the denarius? By studying archaeological evidence such as the coin hoards excavated from this period, Udoh argues that this is unlikely. Interacting with the research of Donald Ariel in “A Survey of Coin Finds in Jerusalem,” who provides a systematic analysis of surface excavations and coin finds, Udoh points out that significant numbers of denarii are found in Palestine only after 69 CE, particularly from the reign of Vespasian onward. This was because, after the destruction of the Jewish Temple in 70 CE, the currency and government in Judea changed dramatically. However, prior to this time (and during the time of Jesus) the primary silver currency in Palestine was the Tyrian shekel. For example, a coin hoard discovered at Isfiya, which contained coins dating from 40 BCE-53 CE, contained 4,400 Tyrian coins compared to only 160 denarii, of which about 30 were of Tiberius (Udoh, pg. 235). To be sure, a few denarii made their way to Palestine through circulation, but this proportion shows that Tyrian shekels were the dominant currency that would have been used for taxation in coin. In light of this evidence, Udoh (pg. 236) concludes, “the imperial denarii were not required for Roman taxation, and they did not form the basis of the silver currency of the region. The connection that is made in the Gospels, especially in Matt 22:19, between Roman taxation in Judea and the denarius does not offer any specific historical information about taxation in Jewish Palestine during Jesus’ lifetime.” What is especially interesting about this insight is that the traditional author of the Gospels of Matthew is even reputed to have been a tax collector, specifically a toll collector (τελώνης) in Galilee. That he would thus make a mistake about the currency used for taxation is rather peculiar, though such an error does fit with the fact that the majority of mainstream biblical scholars agree that the traditional authorial attribution is spurious. “To determine the authenticity of Jesus’ pronouncement, Udoh looked at elements of the story: Did a Roman tax exist in Jesus’s time that everyone was required to pay? Was payment required in a particular Roman coin? Would that coin have borne the likeness of the emperor, and if so, would it have been circulating in such abundance that Jesus could have reasonably expected one to be produced on the spot? First, Udoh finds no evidence from the period of a census-based, per-capita tribute or ‘poll tax,’ as the word in Matthew and Mark is customarily translated. Any assessments by Rome, he says, likely would have been based on agricultural production and paid in-kind with farm products like grain. In fact, by Udoh’s analysis, Rome did not impose a ‘per capita’ tribute on the people in Judea until 70 CE. He also finds no evidence of a direct tribute requiring payment in Roman money. Finally, he observes that since colonial taxes are notoriously difficult to collect, requiring payment in a specific coin would have only made collection more difficult. 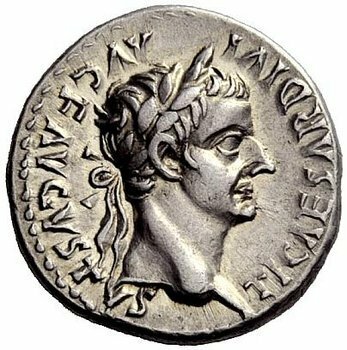 As for the Roman coin Jesus calls for, a silver denarius, these did exist during the time of his ministry, and they would have borne the likeness of Caesar Augustus or Tiberius. But while denarii would have been recognized by people in Jewish Palestine during Jesus’s time, Udoh says, archeological findings suggest they were not the silver coin being used at the time. That coin was the Tyrian shekel. And so, the passage is either anachronistic or is conflating a tax imposed from another region than Palestine. If it refers to a tax imposed at a later date, it could be because Mark (the first gospel in which it appears) was composed after 70 CE, which was the earliest time that such a tax was imposed in Palestine. If it is from another region, it could be because Christians in those areas were struggling with the issue of whether they should pay Roman taxes , and the authors of the NT Gospels felt the need to address the question, by spuriously placing a saying on the lips of Jesus that he actually never spoke. But unlike in the case of Suetonius’ writings, wherein numismatic evidence confirms the details of his narrative, here the evidence of ancient coins does not bear out the narrative of the Gospels. Beyond the problems I noted in my previous review of Keener, this is another reason why we probably shouldn’t be comparing legendary texts like the Gospels to a historical biographer like Suetonius. Paul tends to mention when he had a previous teaching of Jesus available on a matter of Christian practice (cf. 1 Cor. 9:14; 11:22-24), and so his failure to mention Jesus’ alleged teaching on paying Roman taxes carries some weight in this passage against the notion that there was such a previous teaching. It’s also worth noting that Paul’s reasoning differs somewhat from Jesus’, since Paul equates the governing authorities with being servants of God, whereas Jesus disassociates Caesar from God. Nicholas Covington, who blogs at Hume’s Apprentice, has recently written a review on Amazon of the new The Case for Christ movie edition. 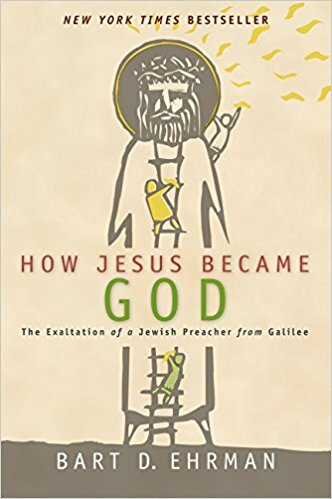 Covington’s review discusses issues such as the preponderance of post-mortem hallucinations in religious movements, the growing legendary development in the NT accounts of Jesus’ burial and empty tomb, and the broader Mediterranean context of resurrection and deification. I’ve discussed problems with the book version of Lee Strobel’s The Case for Christ on this blog before. Reading Strobel’s arguments, when I was getting my M.A. in Classics and Ancient History, was one of the first things that got me involved in counter-apologetics. As someone who was independently looking at historical methodology and ancient texts, I was appalled at how greatly Strobel dumbed down the critical issues, misrepresented scholarship, and gave false impression to his lay readers. I did a word count on my two academic blogs recently, and the total amount for substantive posts (excluding announcements, etc.) was 508,198 words. That is the equivalent of roughly 2,032 double-spaced pages of content. That’s enough material for a multi-volume work. And since I hyperlink my citations, the bibliography would be much shorter, which factors in even more substantive material. This blog recently exceeded over 400,000 thousand page views around the world. Considering that the average non-fiction book sells less than 2,000 copies over its lifetime, this is a much wider distribution of knowledge and material than is normally achieved through standard publishing. By just pledging $1 a month for a $12 a year subscription, you would only be paying a low price for a non-fiction book for all of the content on this blog. Much of the information on this blog can be found nowhere else. For example, when I first started blogging here, I debunked an egregiously false apologetic statistic claiming that there were more literary sources from antiquity for Jesus than for the contemporary emperor Tiberius Caesar. I’ve recently documented that this false statistic has been circulated in eleven different apologetic publications, which span six different Christian publishers. And yet, the full refutation of this misinformation can only be found on this blog, and nowhere else. What’s worse is that I’ve also discovered that, even after apologist Mike Licona conceded in 2013 that the sources for Jesus vs. Tiberius apologetic is wrong, Christian authors are still circulating the claim! Out of the eleven publications discussed above, five of them were published after 2013! These include: Graeme Smith in Was the Tomb Empty? (2014), H.R. Huntsman in Reason to Believe (2014), Patrick Ford in Faith Isn’t Blind (2016), Peter Eddington in “Was Jesus Really Resurrected?” (2016), and Jerry Newcombe in The Unstoppable Jesus Christ (2017). So even after apologetic misinformation has been debunked, and even been conceded to have been debunked by their own authorities, apologetic authors are still spreading the same misinformation like wildfire! And yet, to find the truth on such matters, this blog can sometimes be your only source. Finally, to find secular answers to many apologetic arguments, you often have to track down secular scholars who are not widely known in atheist circles. 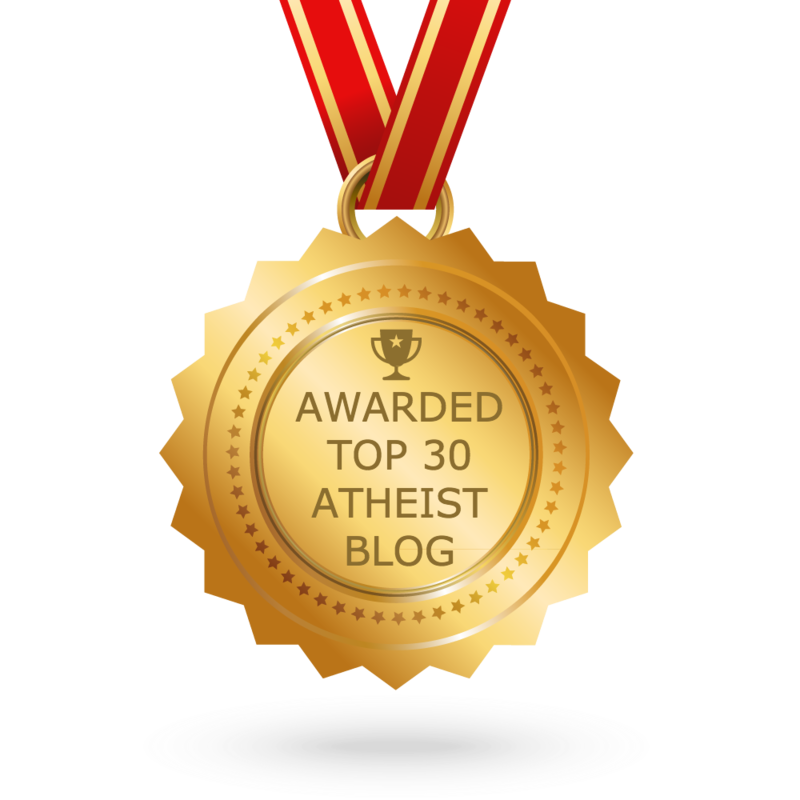 On this blog, I don’t just cite popular New Atheist authors like Richard Dawkins. Instead, I always work to connect people to the best secular authorities on relevant issues in history and philosophy, some of whom only publish in books and journals that are not accessible to the public. Supporting my academic works helps me to continue to bridge the gap between mainstream academia and the public. As Michael Alter has discussed on this blog, the Association of Theological Schools in the United States and Canada (ATS) can literally boast $1.8 billion in total annual revenue and $8 billion in total long-term investments. 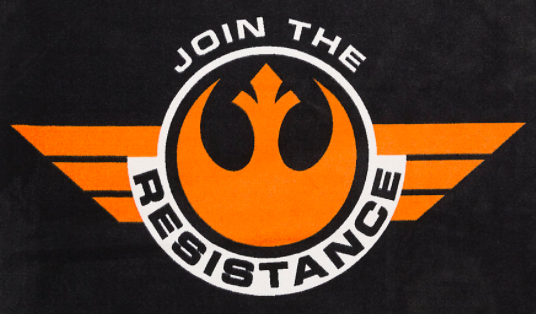 Consider what you can do to help the far less numerous resources for secularism by supporting this blog, starting at as low as $1 a month.